WaveSpeed is one of the newest Internet Service Providers in Cyprus offering various Internet connectivity solutions. WaveSpeed currently offers only one package for home users over the i-choice platform. For their business packages please contact WaveSpeed directly. Please see the i-choice platform page for the other fees you will have to pay in order to get ADSL connection. 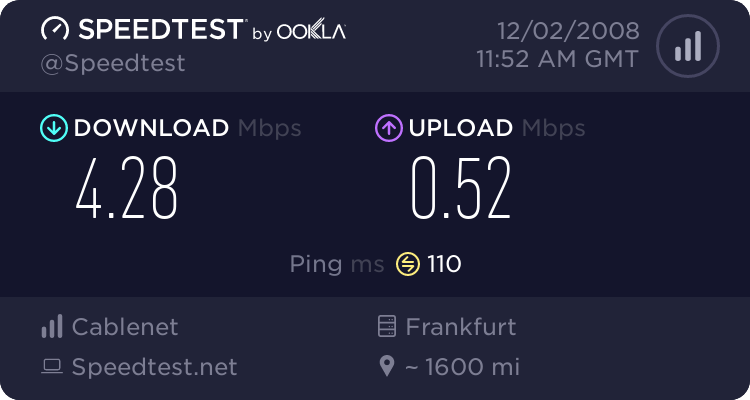 The ISP (WaveSpeed in this case) is just one of costs. If you have tried the broadband services of Wavespeed please write a review about your positive and/or negative experiences. Please post reviews about Wavespeed only, and not about any other ISP or service. However feel free to compare Wavespeed with other Internet Service Providers offering similar products. Don't forget to cast your vote with your rating for Wavespeed. I think is the best ISP in Cyprus. They are very fast and they have an excellent staff for support. I'm on their 1024 over i-choice service and it has been terrible again for the last 3 days. Web browsing like dial-up and keeps timing out & now it seems my access to my usenet server is being blocked. The reason that CableNet Choose wave speed is because all of them are either owned or Shiacolas has a controlling interest. e pios tin exei telika?